The Spread: Seems Cruz & Beto Have Beef Over BBQ Now. 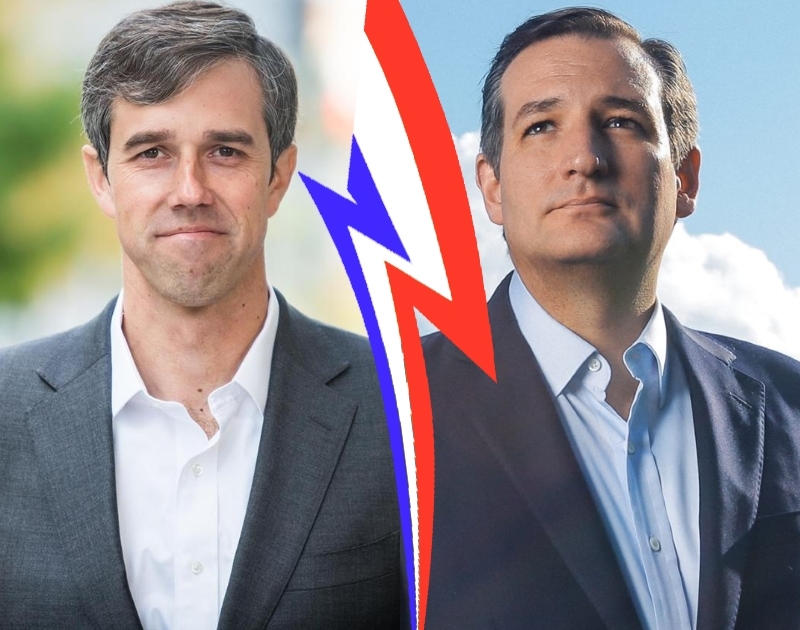 Ted Cruz And Beto O’Rourke Beef Over Barbecue, A New Bar Slides Into City Tavern’s Old Home, Revolver Is Selling Jumbo Cans Of Blood & Honey and More! Welcome to The Spread, our weekly feature aims to share all the area restaurant, food and beverage industry news that’s fit to print. Except, well, this is the Internet, so space isn’t a concern. Good thing, too, since this is Dallas and this town always has news breaking like whoa on this front. As if Texans didn’t already take barbecue seriously enough, it now seems as if the topic could become a point of contention between U.S. Senate race competitors Ted Cruz and Beto O’Rourke thanks to a recent string of tweets. The whole controversy started after PETA supporters passed out barbecued tofu samples outside of a Cruz campaign event to mock the incumbent’s recent slamming of tofu as a decidedly non-Texan food. In turn, Cruz then tweeted that, if Beto wins, barbecue will be outlawed. While O’Rourke has yet to respond to Cruz’s surely-in-jest tweet, the Dallas-based barbecue editor of Texas Monthly Daniel Vaughn pointed out just how big of a campaign issue ‘cue can be for the state, using Commissioner of Texas Agriculture Sid Miller’s war against barbecue scales as a prime example. As barbecue joints throughout the state have experienced serious scale crackdowns since 2015 to cover gaps in the Texas Department of Agriculture’s funding, such a claim from Cruz could indeed be a serious issue for Beto. Taking things a little less seriously is Dallas own Four Corners Brewing, which lightened the mood by offering to host a cook-off between the two candidates, should their BBQ battle ever reach that point. Speaking of cooks: Anastacia Quiñones has said goodbye to the revamped Cedars Social. The champion of modern Mexican cuisine leaves the restaurant after an eight-month stint spent revamping the kitchen. No details have been given on the split, other than Eater’s confirmation of the departure from owner Monica Green. Meanwhile, a new bar concept is slated to takeover the former City Tavern space, which is being vacated as that venerable Downtown spot moves a block over to Elm. Per Eater reports, the 1402 Main Street location will be taken over by the folks who run the nearby On Premise and The Mitchell. While there are few details on the unnamed venture, the bar program reportedly will focus on American whiskeys and bourbons. Look for an opening next month. Over in the burgeoning Maple Avenue District, on the other hand, a new restaurant called Merchant House is already open. The concept has a split focus on food and alcohol, with the downstairs dedicated to the restaurant and the upstairs featuring a selection of cocktails and local beer along with a view of the city. According to CultureMap, the menu features shareable and individual sections appropriately titled “selfish” and “selfless,” with dishes made for a range of tastes. Hours run Sunday through Thursday from 5 to 10 p.m., and Friday and Saturday from 5 p.m. to midnight. Out in Addison, an outpost of the East Coast-inspired Hudson House is set to take over the former Taco Diner space at 4933 Belt Line Road. The East Hampton Co. offshoot specializes in oysters, with a program that partners with boutique oyster farmers to bring Texans some of the rarest oysters you can find outside of Boston and New York City — per the press release, anyway. Look for doors to open on this second Hudson House outpost to open on Tuesday, September 25. In sweeter news, photogenic gelato chain Amorino Gelato is setting up shop in Plano. The Legacy West location at 7700 Windrose Avenue #G157 will be the company’s second North Texas outpost, joining the shop in Fort Worth. Its Parisian flower petal-shaped desserts will be available in a variety of flavors, including vegan and non-dairy based options. As CultureMap reports, the Plano store will be quieter than its Fort Worth counterpart, as the equipment will be located in the back instead of in customer view. An opening is slated before the end of 2018. On the bar side of things, the minds behind Braindead Brewing and Bowen House are collaborating on a new venture in The Cedars. Mike’s Gemini Twin will be located at 1902 South Hardwood Street, adding to the neighborhood’s fairly limited dive bar options. The concept is still in its early renovation stages, but plans to combine aspects of owners’ Sam Wynne and Pasha Heidari‘s other ventures. And, in more beer news, Revolver Brewing is introducing 19.6-ounce cans of its revered Blood & Honey brew. The cans will be sold as singles and have an 7-percent ABV. No details have been given on an official release date, but responses on Revolver’s Facebook indicate that it will be sold at all places that carry their products. Previous ArticleThings To Do In Dallas on Wednesday, September 19. Next ArticleThings To Do In Dallas On Thursday, September 20.